I wouldn't underestimate many on here. Quite a bit of good taste and ideas that float around here. Not like Porsche is knocking every edition and option out of the ballpark here. Surely not managing the customer relations very well. +1, and there are some at Porsche who monitor Rennlist keenly. They are real enthusiasts but of course can't post here for all the obvious reasons. It must kill them at times! There are also some in product planning who watch these boards closely, as it's hard to beat RL in terms of getting unvarnished customer feedback if you can sort through the noise. Not sure they'd view the feedback here as "better" than what they get from focus groups, but it's a lot less expensive and a different perspective...often from actual customers. In some cases, they can even identify those customers. The funny thing is that, while the engineers, designers, product planners, and marketing folks who build the cars haunt these boards, the high-level decision makers in PR assign zero media value to forums and social media while pouring their resources into magazines, newspapers, TV, and websites. While the latter are obvious (and I come from one of those buckets! ), I do have to wonder how many real buyers are reading certain magazines or websites vs Rennlist. But humans are creatures of habit, and "safe" bets. I don’t think anyone looks at this “concept” version of the Speedster and thinks it’s a 911R convertible. 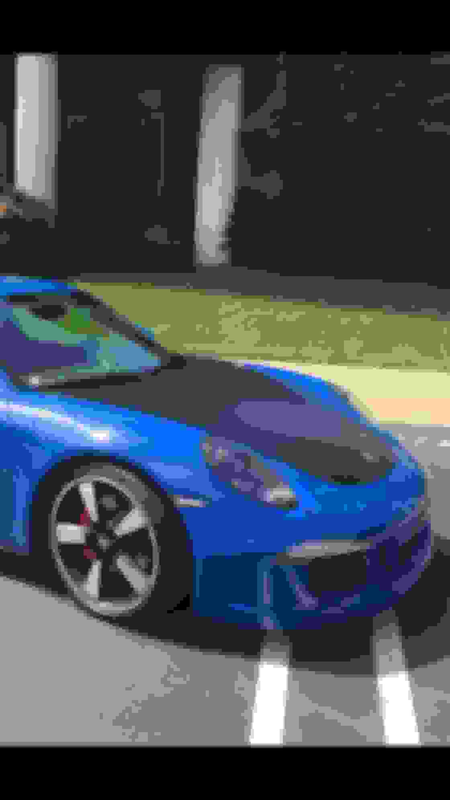 All the “spy shots” showing generic “GT3 convertibles” we’re wrong, too. This car is completely unique and stands on its own 4 feet. According to Porsche’s own press release, the Speedster’s body has been borrowed from the 911 Carrera 4, and the horsepower is “over 500.” I still think Chris will be proven right at 525hp. They say it has an RS engine but they dont say 520hp. My understanding is the 3 and the 3RS have the exact same engine. The RS makes more power due to intake, exhaust and maybe software. I can’t see how the Speedster could make any more power from intake compared to a GT3 hence why they say “more than 500hp”. I’m guessing no more than 510. Makes no sense for Porsche to give this car same hp rating as their NA flagship RS. Speedster has titanium exhaust like a GT3RS which might be good for a few hp. Yes exhaust is easy and maybe a timing tweak on the ECU. I’m guessing no more than 510. I hope they produce enough for everyone who wants one, what numbers who knows? maybe 3-4 thousand would satisfy US demand, my suggestion, take non-refundable deposits from everyone who wants one and build them one, why is it we never get enough, why is it demand -2000 not demand -1?? I've had a deposit on one for a couple of months! Happy Bday Porsche! Despite selling your soul to marketing strategies, your products are always great! 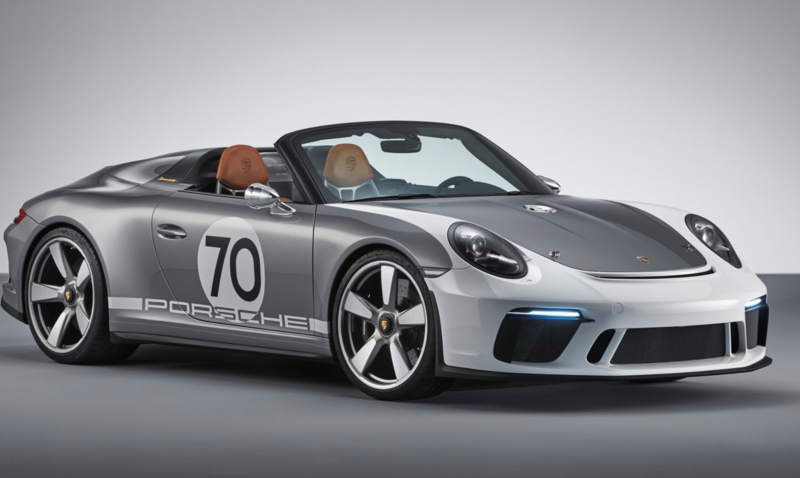 However, i don't like the fact that they 'chopped' a 991.2 GT3 and make it a speedster concept. They didn't even change the bumpers! "The sports exhaust system of the new 911 GT3 RS has two front silencers, two catalytic converters, one rear silencer and two central tailpipes made of titanium." So as I understand the only rear silencer and tailpipes made of titanium not the all system. I love everything forward of the rear wheel arches...after that I'm at a loss. I hope they find a prettier rear-end for the production model. It feels to me like they should extend the grill motif between the rear humps, like the CGT and 918. It's too flat design-wise without this. Love the wheels and black PCCBs. If black PCCBs had been an option on the T I would have seriously considered it. Also love the green R gauges. Fantastic. I 100% love it and do what I can to obtain. With 1948 being made, the fact that it is a convertible and manual only (assuming this is true), the US should get a healthy portion of 1948, maybe 800 or more, and I figure it will be $200k plus, this will not be 911R level hard to get. Keep in mind when the R came out, everyone thought there would be no manual GT 911 cars anymore.